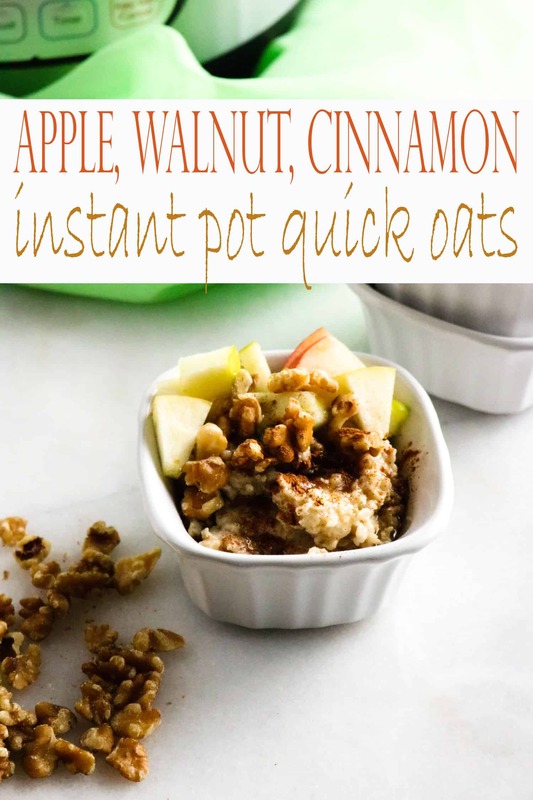 We’re big fans of the Instant Pot, and this Apple, Walnut and Honey Instant Pot Quick Oats recipe is truly one of the most simple and easy things you can make. In just 5 minutes (plus approximately 10 minutes for pressure to build), you can have a tasty and satisfying breakfast on the table. Plus, all you need to do is put the ingredients in the pot, set it, and walk away! Who doesn’t want to start the day with a meal that not only tastes great, but is great for you, too? 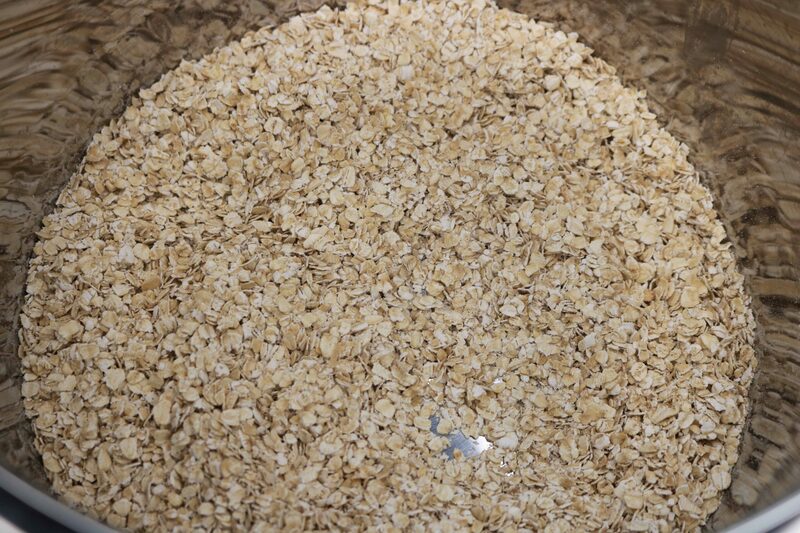 Oats contain more protein than most grains, which provides sustained energy. They are a good source of fiber, including beta-glucan, which is a soluble fiber that can help reduce cholesterol and blood sugar levels. Oats also contain many powerful antioxidants, including avenanthramides. These compounds may help reduce blood pressure. 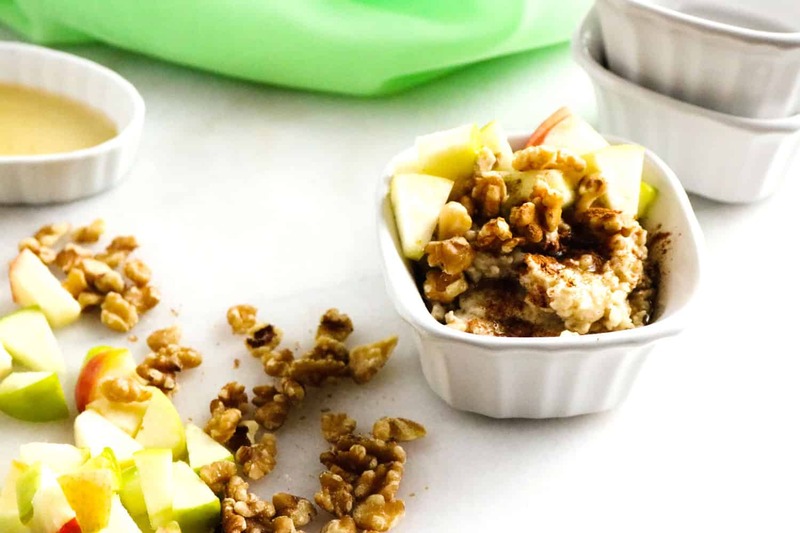 And, you can get even more valuable health benefits by topping your Instant Pot quick oats with ingredients like apples, which a good source of dietary fiber, and walnuts that are rich in vitamin E, folate, and omega-3 fats. Add a drizzle of honey for an antioxidant-packed touch of sweetness that makes this recipe a true breakfast of champions. Cooked quick oats can sometimes leave a bit of a sticky residue behind. Purchasing a ceramic nonstick inner liner to use in your Instant Pot will make cleaning up after your quick oats just as fast and easy as it is to cook them! 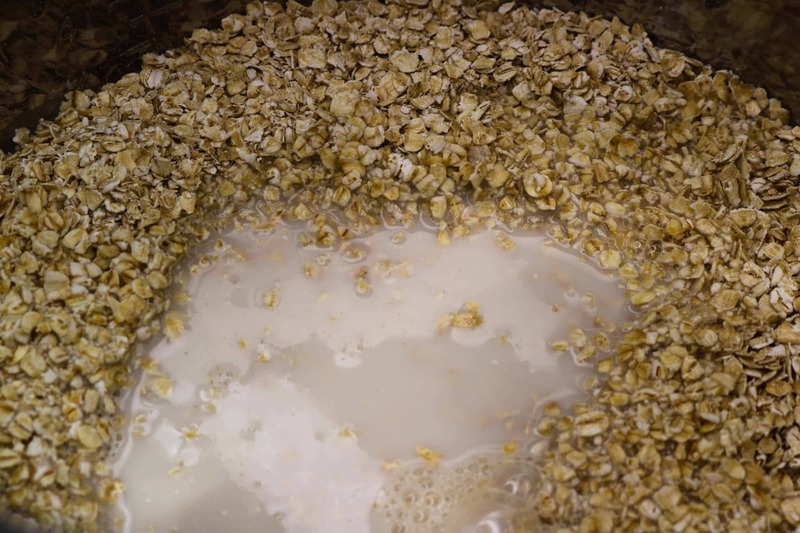 Step #1: Spray bottom and sides of the Instant Pot inner pot with nonstick cooking spray, and add quick oats and almond milk. Step #2: Turn the valve to pressure setting, and select a manual cooking time of 5 minutes. Once cooking time has elapsed, do a quick release. 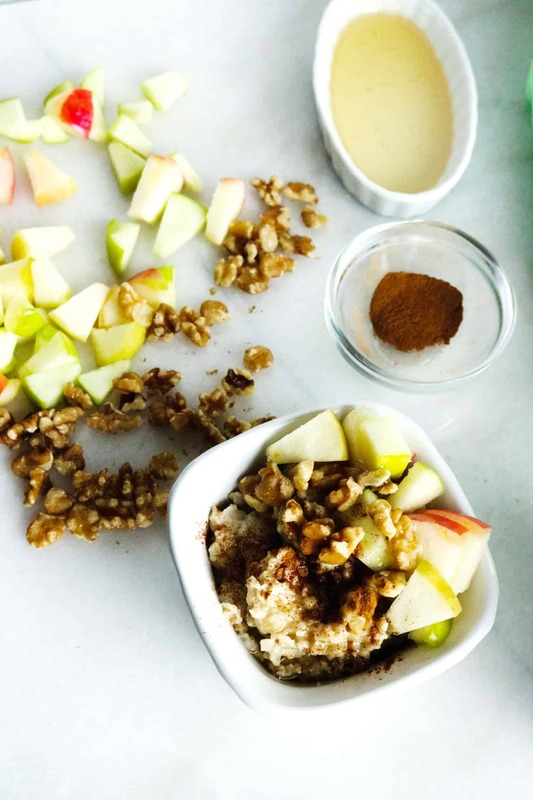 Step #3: Dish up into bowls, and top with sliced apple, walnuts and a drizzle of honey (or toppings of your choice). Garnish with a touch of cinnamon, and enjoy! A hearty and healthy way to start your day, and so easy to make! Spray bottom and sides of inner pot with nonstick cooking spray. Alternatively, add 1 cup of water to pot and put ingredients in a casserole dish that will fit on top of the trivet. Mix together quick oats and almond milk. Turn pressure valve to pressure setting, and select a manual cooking time of 5 minutes. Once cooking time has elapsed, do a quick release. Add mix-ins to the oatmeal, garnish with a touch of cinnamon, and serve. Makes 4-6 servings. Made this yesterday. It was so good!!! Looking forward to more posts. Thanks so much! I’d love it if you could rate the recipe.